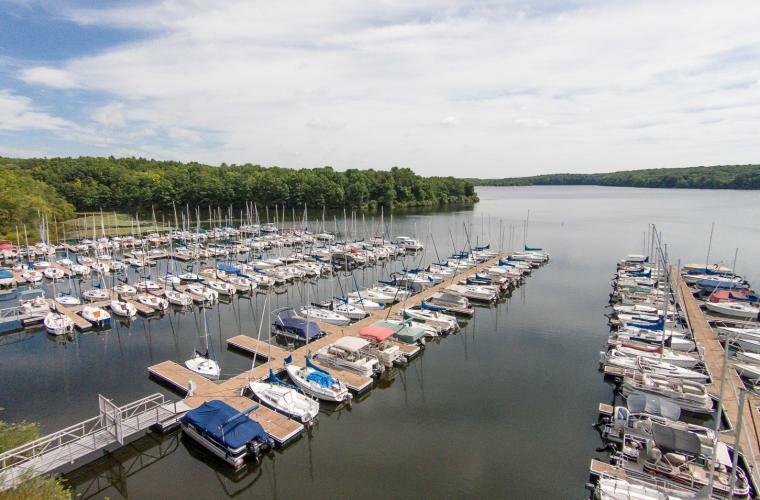 With vast state parks home to boulders and hiking trails, winding river channels and scenic country landscapes, Bucks County is the perfect place to find adventure with your significant other. Capture a #BucksCountyMoment with your loved one on these thrilling dates for the wild-at-heart. • Tyler State Park offers endless outdoor activities including camping, fishing, whitewater boating, disc golfing and hiking or mountain biking along their miles of trails. Adventure awaits whether you want to camp out or explore the scenic park for a day and pack a picnic basket for a perfect trip. • Get your adrenaline flowing at Ralph Stover State Park by climbing to the top of the High Rock Vista. Once you reach the top, take in an outstanding view of the Tohickon Creek and the surrounding forest. You and your partner can also launch whitewater rafts to enjoy a ride on the rapids. Just remember to hold on tight! • Hike up the stairs in Bowman&apos;s Hill Tower, standing 125 feet tall, in Washington Crossing Historic Park. One of Bucks County&apos;s most popular historic sites, the view from the top of the tower offers a sweeping 14-mile scenic view of the Delaware River Valley. Come back each season with your loved one and hike up the stairs again to catch the view. The changing colors of the foliage and the gorgeous greenery in spring and summer make the scene different each visit. • Enjoy floating down the Delaware River on an inflatable tube or rent canoes, kayaks, paddleboards or fishing lines from Delaware River Tubing or Bucks County River Country for a relaxing adventure on the river. • Embark on a romantic horseback riding tour with your special someone through Nockamixon State Park atop the beautiful horses from Haycock Stables. Take in the surrounding lake and foliage during this once of a lifetime opportunity. • Explore the breathtaking boulder fields of Ringing Rocks Park with your partner and experience the marvel of the ringing-sound when the boulders are struck with a hammer. Later, hike the surrounding trails to find Bucks County&apos;s largest waterfall. • Take in a spectacular birds-eye view of the countryside farms and vineyards on a hot air balloon ride with US Hot Air Balloon Team or Balloons Aloft. Soar high above beautiful Bucks County and enjoy this romantic, breathtaking, and unforgettable adventure with your loved one.